Tibetan prayer-wheel containing prayer scroll ; repoussé copper, shell disk, wood handle. 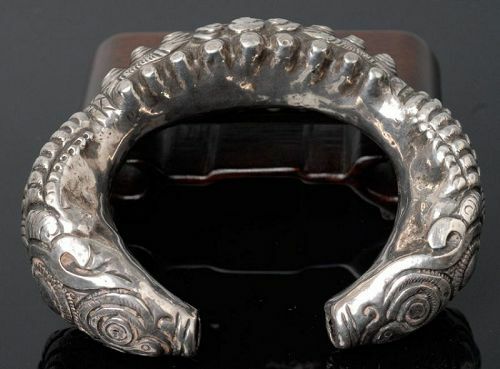 Miao or Dong bracelet made of silver on a tree-resine core in the shape of a caterpillar (representation of the silk worm), usually reserved to the village's chief. 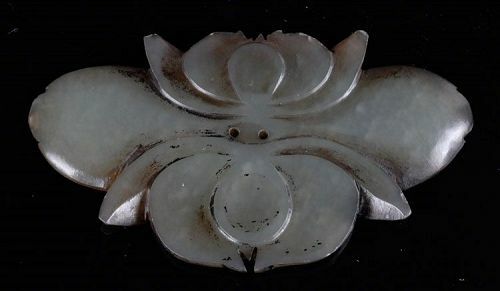 Large silver torque worn by the « Flower » Miao made of silver. 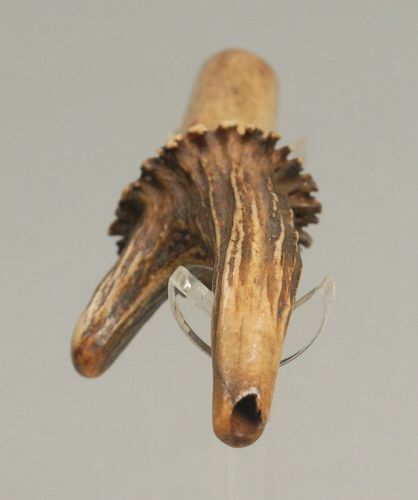 Set of a traditional pipe made of bamboo and copper used by the minorities in the south of China (Dong, Miao, Yao…) and its tobacco box made of water-buffalo horn which have usually 2 compartments, a big one for tobacco leaves, a small one for the tow (see T-D6N for details). 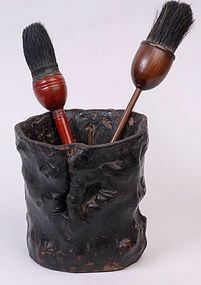 Beautiful patina, slight superficial split of the bamboo stem (see pic 5), L of pipe : 49cms, H of box : 7c. Cricket cage with sliding door made of wood and bamboo, no nails only tenons. 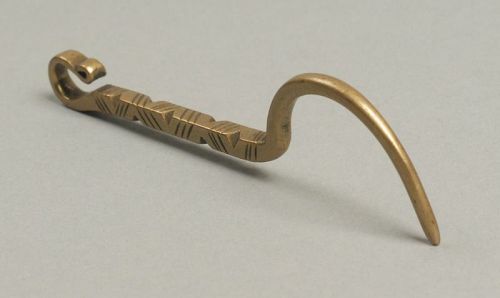 A very well made charming folk art object which, for decades, housed Chinese tiny singing pets. 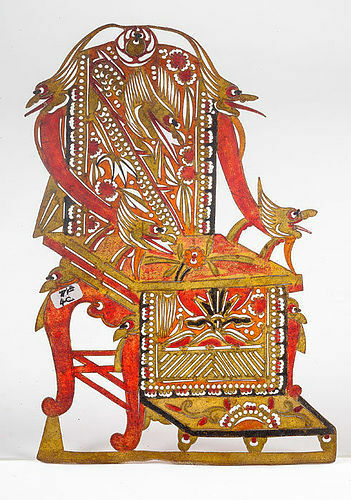 Chinese leather armchair for shadow puppet's theaters ; floral design and bats. 11X17 cms. 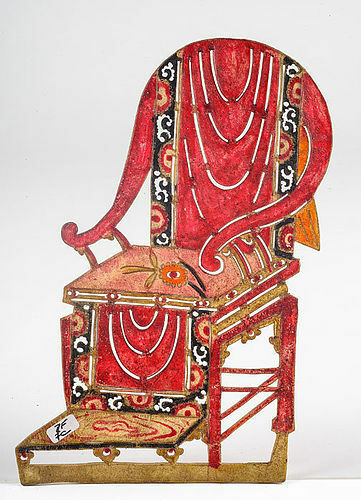 Shaanxi, first half of 20th C.
Chinese leather armchair for shadow puppet's theaters ; very classical model. 11X19 cms. 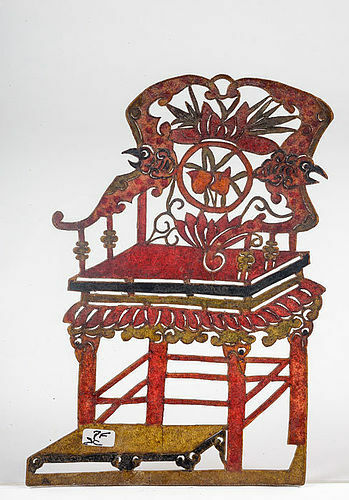 Shaanxi, first half of 20th C.
Chinese leather armchair for shadow puppet's theaters ;floral design and humoristic dragon heads. 13X19 cms. 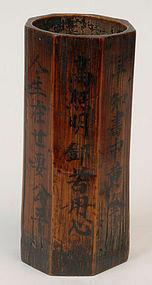 Shaanxi, first half of 20th C.
Chinese Bitong made of burl or roots ; good condition with expected wear and tear. H: 14 cms, W: 14 cms. 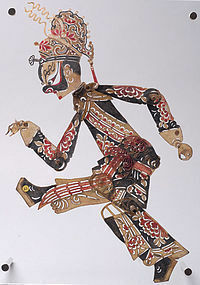 Very big Chinese Shadow Puppet. Good condition. 39 cms. 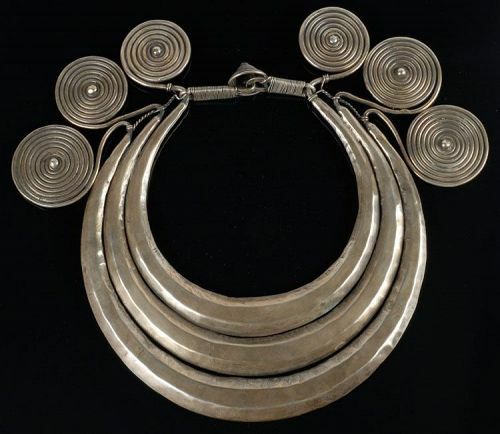 Sha'anxi.